A Shabbat Riddle: What has sushi, millennials, drinks, fun, and free parking? You guessed it! 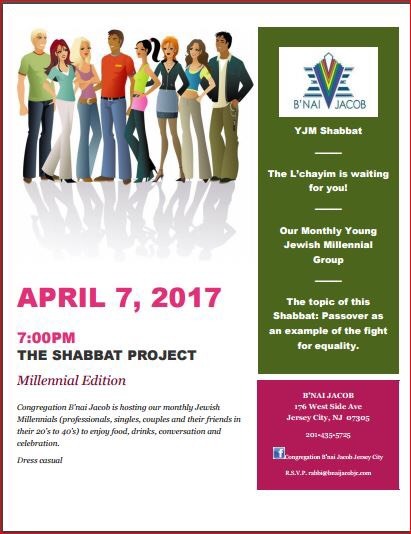 B’nai Jacob’s monthly millennial Shabbat! We want to stay in the know! Tell us what kind of Shabbat Services would be most valuable to you.